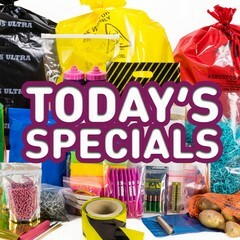 As well as some fabulous special offers today we also have some new products in stock, including Compostable Mailing Bags and Biodegradable Grip Seal Bags; one perfect for storing any left-over chocolate from Easter, the other perfect for sending it to us! 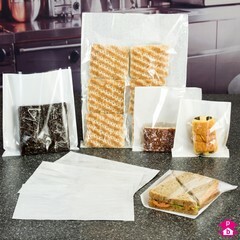 If you're interested in exploring more green packaging products, take a peek at our eco-friendly packaging section. Don't forget you can chat or give us a call if you want friendly expert advice on any products in our packaging shop, or need a customised bag or film, or if you're considering printed packaging, such as Printed Mailing Bags or Printed Carrier Bags! 13 Products. 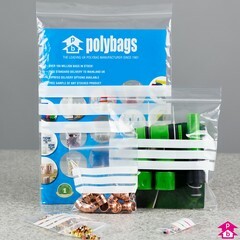 A fabulous 20% off on these panelled self-sealing bags with 3 matt white write-on-panels so you can easily label the contents with a pen or pencil. 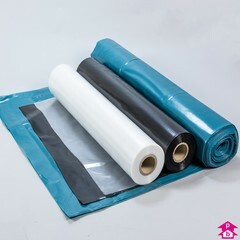 All our standard self-seal bags are 200 gauge (50 micron) thick, so they're better quality than the inferior thinner alternatives you might find elsewhere! Great for storage or for quick display and can be used again and again and again. 1 Product. 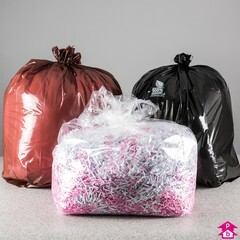 15% off these great tear-off sacks on a roll. 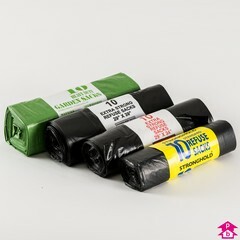 There are 10 black medium-duty dustbin bags per roll, and with no central core they are easy to store and use.